In 1822 Gideon Mantell, a doctor from Lewes, East Sussex, described a fossil tooth which his wife had found by the side of the road in Cuckfield, West Sussex. This tooth was the first dinosaur fossil in the world ever to be identified. For the very first time people began to realise that creatures as large as dinosaurs had once existed. 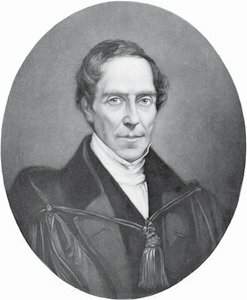 Gideon Mantell went on to search for, discover and identify many other dinosaur remains.